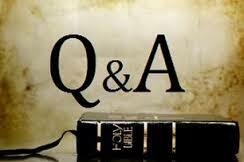 Have questions or need information on becoming a Christian, on what we believe, or on joining our church? At Piperton Baptist, we want all members and potential members to know what we believe and why. Below are a few links to help address commonly asked questions about faith, what we believe as a church body, and how a person can join Piperton Baptist Church. Our pastor would welcome an opportunity to discuss any of these with you.